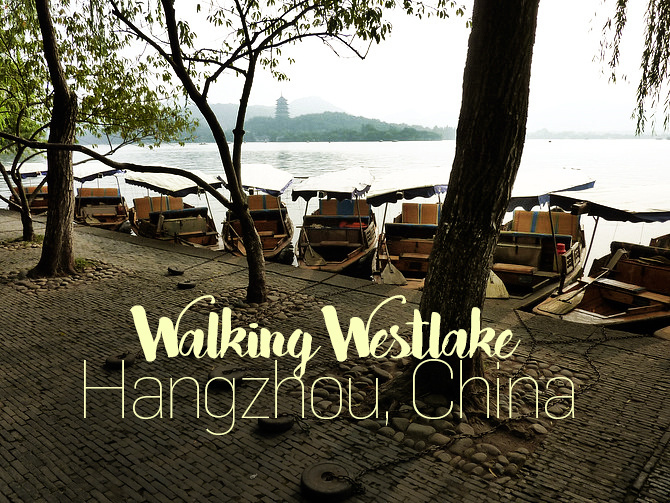 Before coming to China I had not heard of Hangzhou, but in China the city is famous for Westlake. After spending a day walking around this lake, I’m wondering why it isn’t famous around the world. AirAsia fly to Hangzhou from Kuala Lumpur but they advertise Hangzhou as Shanghai, even though it is over 190km away. Shanghai was my target city and I may have just gone straight there if the flight didn’t arrive so late. 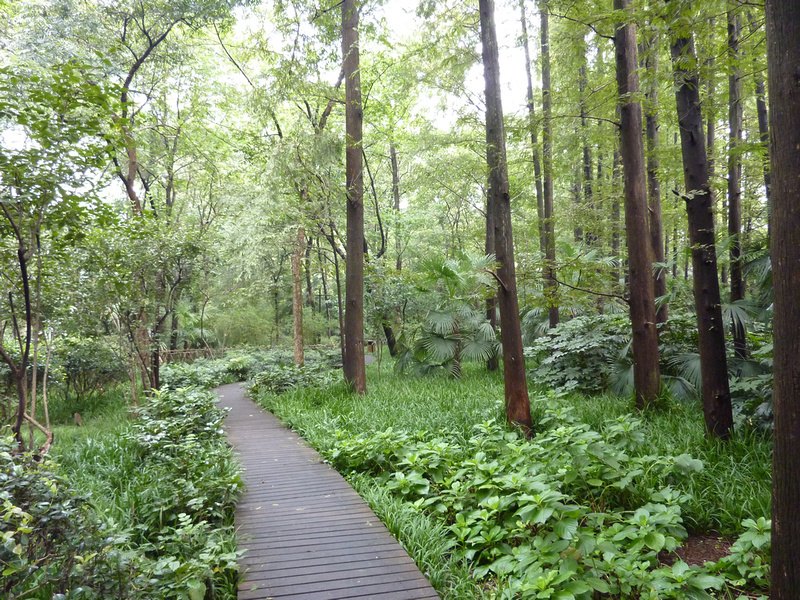 Instead I booked accommodation in Hangzhou. 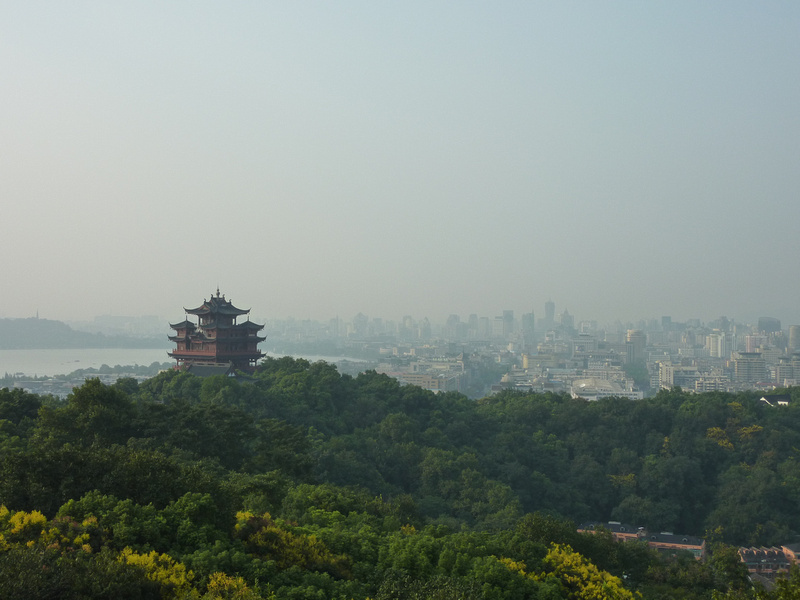 I’m glad I stayed because Hangzhou, and Westlake in particular, turned out out to be a real surprise for me, and a great place to ease myself into China. Westlake is surrounded by hills with most of the city on the eastern side. 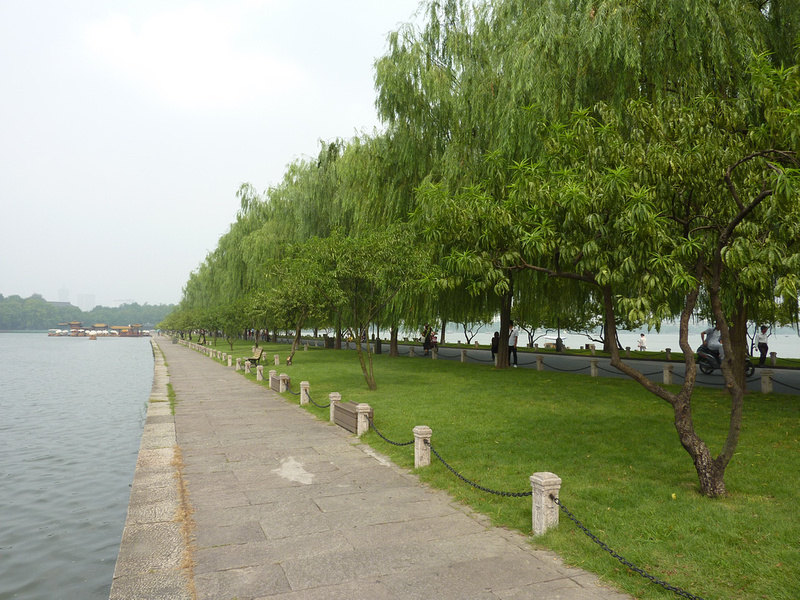 The circumference of the lake is around 15km, though this wouldn’t take into account all of the walking paths. The lake can be crossed at two points by causeway, and there are also lots of little walkways that follow small inlets and ponds. 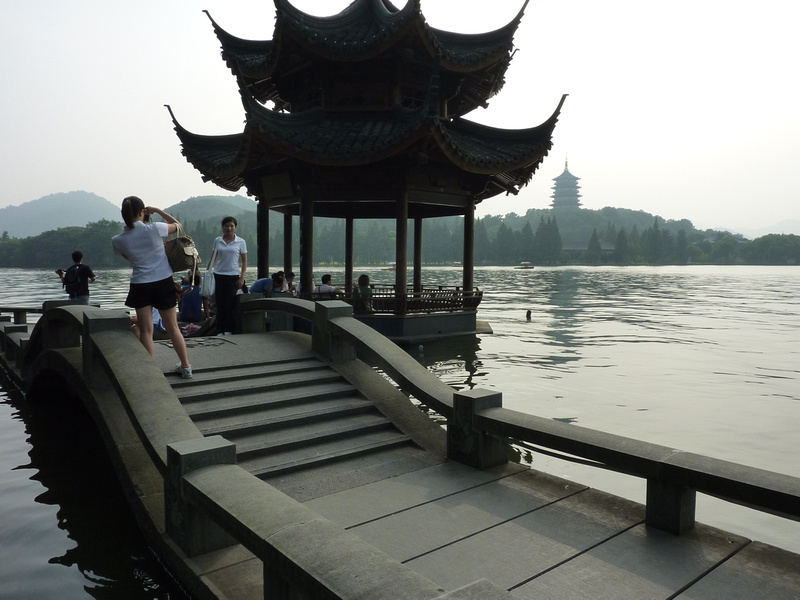 The lake is popular for domestic tourists, and at some points on the lake you can feel like half of China is there. The good news is that this only happens around popular temples where the masses are bussed in. 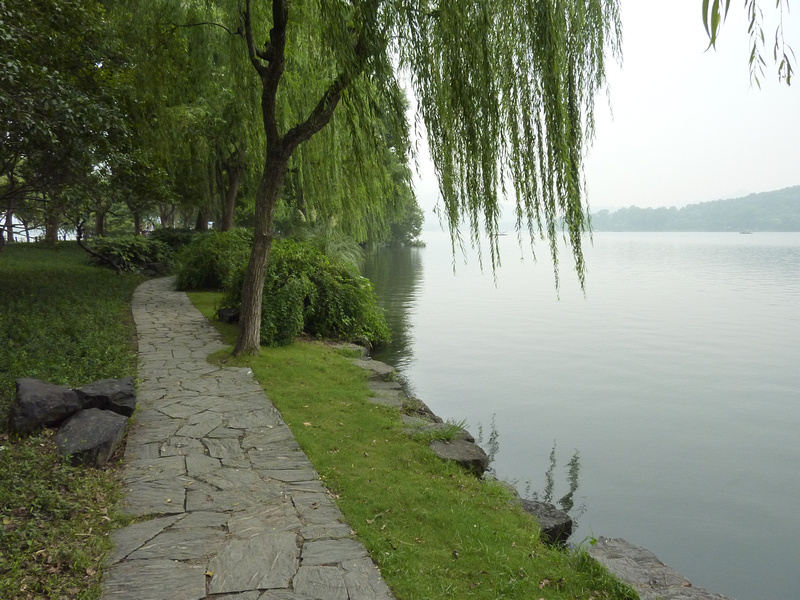 The lake walk is so long that you can find quiet stretches after a while. Hangzhou is a big city, but I met people around the lake from other provinces where seeing a foriegner is something of a novelty, so I got requests along the way to have my photo taken. 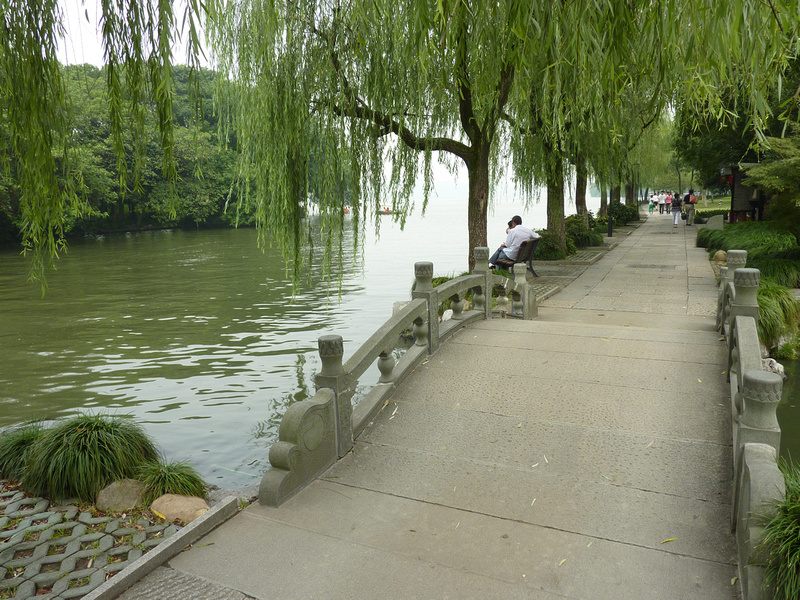 As a body of water, Westlake can be best described as a giant duck pond, with duck pond green water. You wouldn’t swim in it. It is not a lake of pristine waters like that of Minnesota lake, and it doesn’t have the backdrop of mountains like a Swiss lake. What makes Westlake so special is the landscaping. The entire way around the 15 or so kilometres is landscaped. 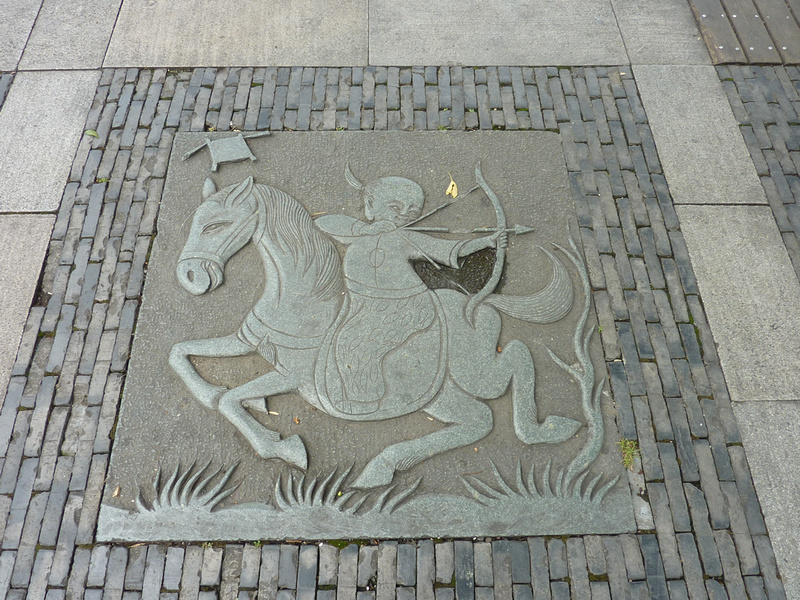 The lake is lined with willows and plane trees, there are interesting paving stones, gardens, pagodas, half moon bridges and public art installations scattered along the way. The lake was man made from a lagoon in the 8th century, and it has been landscape has been refined ever since. This lake is a triumph of landscape design. 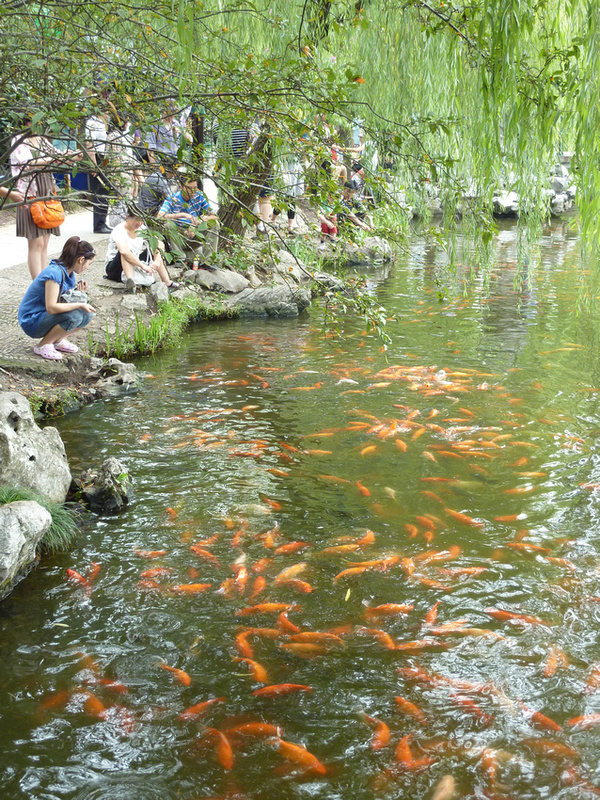 Hangzhou Hotels: Search for discount hotels in Hangzhou. 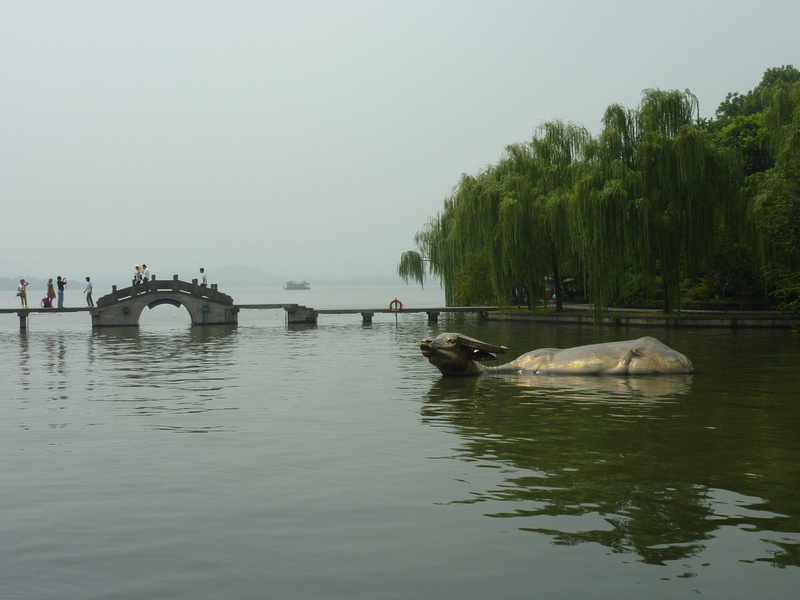 Flights to Hangzhou: Compare the cheapest flights with Skyscanner. 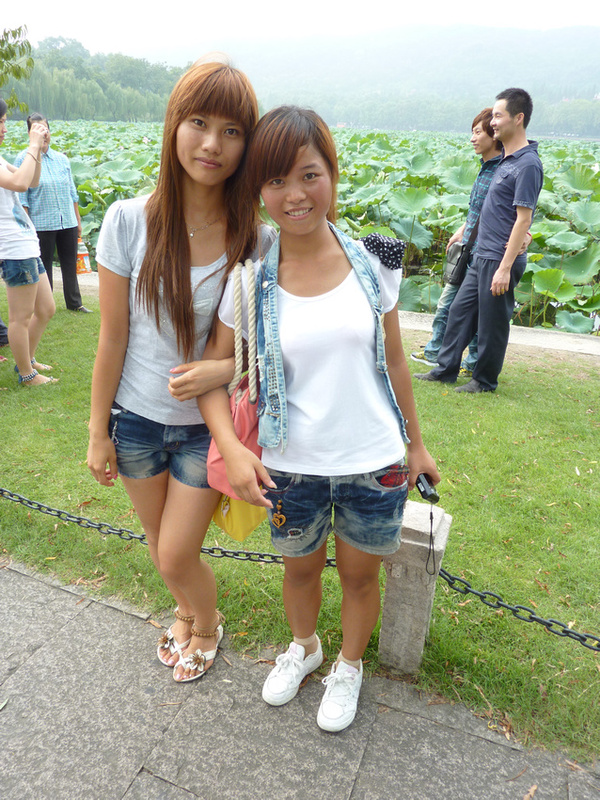 Hangzhou Car Hire: Rentalcars compares the best prices of the major car rental companies. 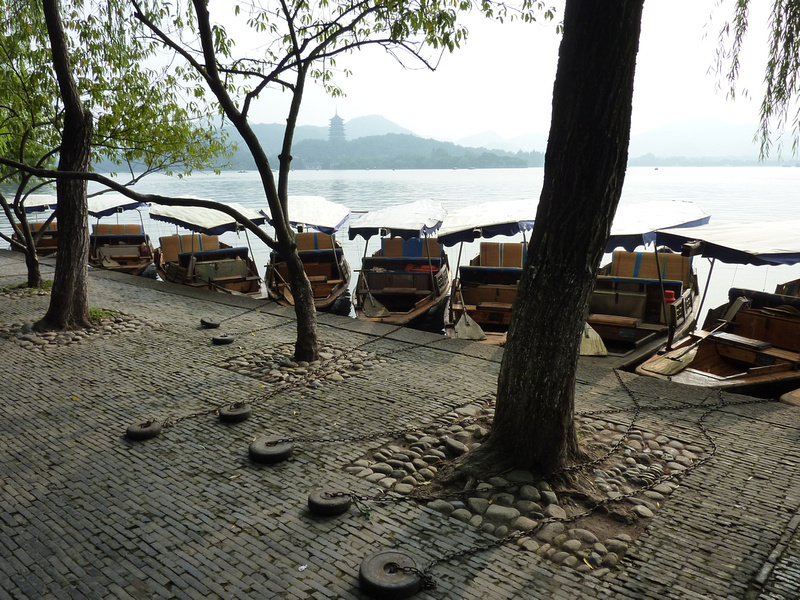 Lonely Planet China: Research Hangzhou and China before you go. Loooooooooove it! Can’t believe I missed this place 3X! It’s so peaceful and beautiful.